Haryana Steelers' star raider and new skipper Monu Goyat scored seven points and was ably supported by Kuldeep Singh, who chipped in with seven points. 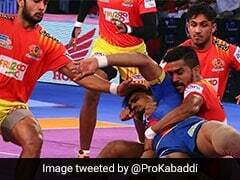 Haryana Steelers began their home leg of Pro Kabaddi Season 6 with a 32-25 win over Gujarat Fortunegiants on Friday. Steelers' star raider and new skipper Monu Goyat scored seven points and was ably supported by Kuldeep Singh, who chipped in with seven points as well. For Gujarat, Sachin and Prapanjan combined to score 17 points. The hosts were the better team in the first-half as they scored raid points at will, with Monu and Kuldeep inflicting bulk of damage on Gujarat. Just before the end of the first-half, Steelers inflicted an all out to head to the breather with a 20-13 lead. In the crowd was Olympic Games bronze medallist Yogeshwar Dutt, who is also the brand ambassador for Haryana. In front of the raucous home crowd, Steelers continued to pile on the pressure on Gujarat Fortunegiants. Sunil Kumar at the back for Gujarat was a rock and scored five tackle points. In the second-half, it was once again the Steelers, who dominated the proceedings. 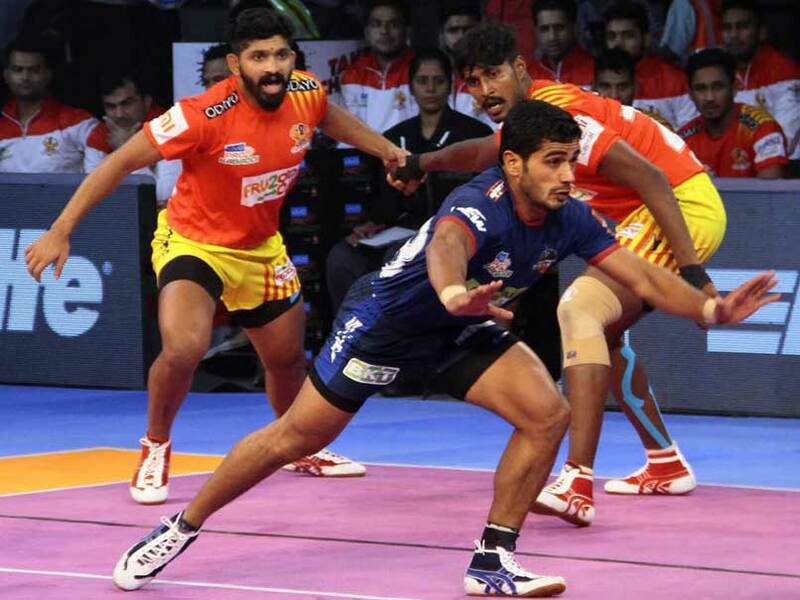 However, Gujarat roared back into the affair, thanks to Prapanjan's back to back raids but towards the end, the Steelers maintained their composure to win the match 32-25. On Saturday, Telugu Titans will play UP Yoddha while Steelers face U Mumba.